Sawyer first entered the games industry in 1983, writing games in Z80 machine code on the Memotech MTX home computer, and then the Amstrad CPC series home computer. Some of these were published by Ariolasoft, Sepulcri Scelerati and Ziggurat. The former was a rare instance of a game being accepted by a publisher when it was already nearing completion. 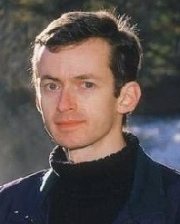 From 1988 to 1993, Sawyer worked on PC conversions of Amiga games and was involved in many projects, including Virus, Conqueror, Campaign, Birds of Prey, Dino Dini's Goal and Frontier: Elite II. He also contributed to the PC version Elite Plus. Sawyer's first management simulation game, Transport Tycoon, was released by Microprose in 1994 and became a classic of the tycoon series of games. A year later, he improved and extended the game, giving it the title Transport Tycoon Deluxe. Sawyer immediately sought to create a sequel. However, while still working on the basic game engine, Sawyer developed an interest in roller coasters, and changed the project into what would become RollerCoaster Tycoon, originally called White Knuckle before release. After creating RollerCoaster Tycoon, he resumed work on the sequel for Transport Tycoon, but again postponed it to create RollerCoaster Tycoon 2. Upon completing that project, he resumed his work on the Transport Tycoon sequel, finally releasing it in 2004 as Chris Sawyer's Locomotion. Sawyer also served as a consultant for Atari in the development of RollerCoaster Tycoon 3. In November 2005, Sawyer sued Atari, claiming that they had failed to pay him certain royalties. Sawyer and Atari settled out of court for an undisclosed amount in February 2008. Sawyer designed and programmed most of his games in x86 assembly, using only the services of freelance artist Simon Foster and musician Allister Brimble as needed. Whole or part of the information contained in this card come from the Wikipedia article "Chris Sawyer", licensed under CC-BY-SA full list of contributors here.